She'll look tutu cute in the adorable vintage lace collection by Natalie. This gorgeous tank dress features v-front princess seaming, a vintage lace trimmed neckline, front bodice lining, a scoop back, two-layer tulle tutu, and an attached ballet cut brief. 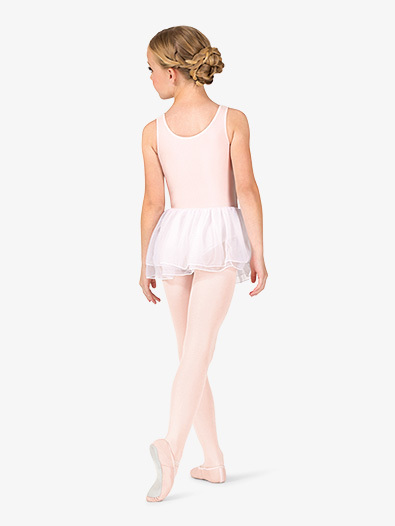 With the entire line of leotards, skirts, and dresses, she'll be a darling all year long!